Over the past couple of months I've been working on some self made snake furniture and decor for my incoming t10 and t12 for Rei and Mosaic. So I decided to invest a little money. I've gone to craft stores, picked up a wire-cutter, a hot glue gun, glue sticks and some flora. Mostly large garlands and some flowers that I liked. I have been careful to wash all of this off properly and check for sharp wire before finalizing for my snakes. These are two garlands of leaves, and then I found bunches of flowers. Cut the flowers off the bunches and hot-glued them to the vines. 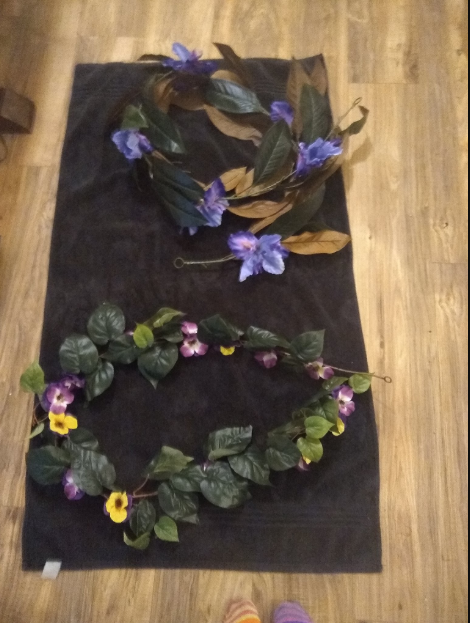 Custom flower garlands. Rei's enclosure is a theme of Greens, yellows and purples. These are for hers. I haven't done any for Mosaic yet, but I'm thinking her flower colors will be firey, orange, red, yellow. Now I also have some branches done. It took me several weeks to figure out how I wanted them done. The one thing I find lacking in the terrarium decor market. Its honestly mounted branches, branches that represent the high up branches of a tree. 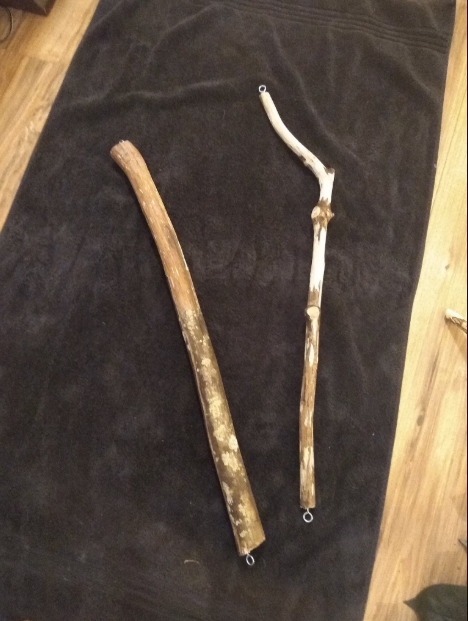 I live in a heavily forested area so I just go out to the parks with my hand saw and look for freshly fallen branches of deciduous trees, mostly oak and maple. Bring them home, clean them off of the moss and dirt, then if its small enough(less than 30inches) I bake it in my oven, at 250 for a couple hours. 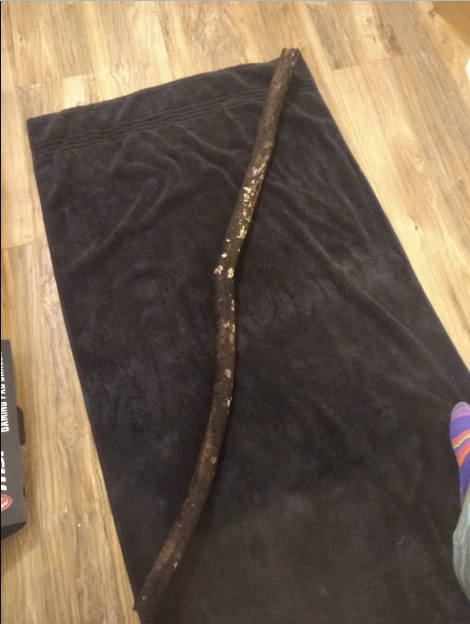 If its too large for the oven, it gets soaked in a bleach solution, then fresh water solution over the weekend, then allowed to air dry for a week. Once dried out, all the branches get a short sanding session, to remove any overly sharp edges and points. I still leave some roughness as that will help provide something for everyone to start a shed. 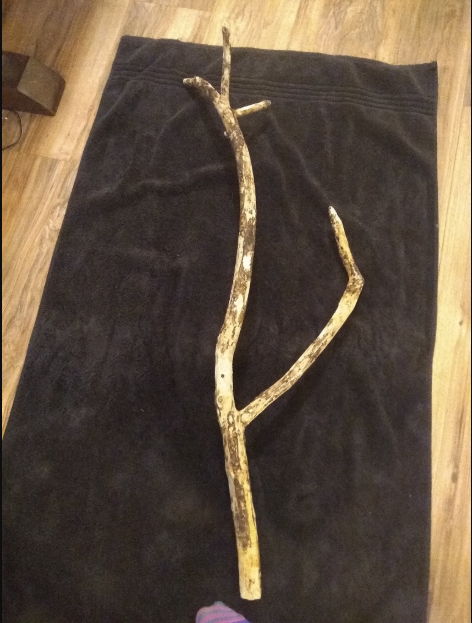 Here's Rei's branch for her enclosure. This one will sit right in the enclosure, its stable enough on its own with the fork. I think she'll enjoy climbing on it. She's actually quite active for a bp, especially at night. Now for Mosaic, she's a young Carpet, but with her adult enclosure incoming I've planned ahead. She currently had 4 branches that I'm gonna put in her enclosure. 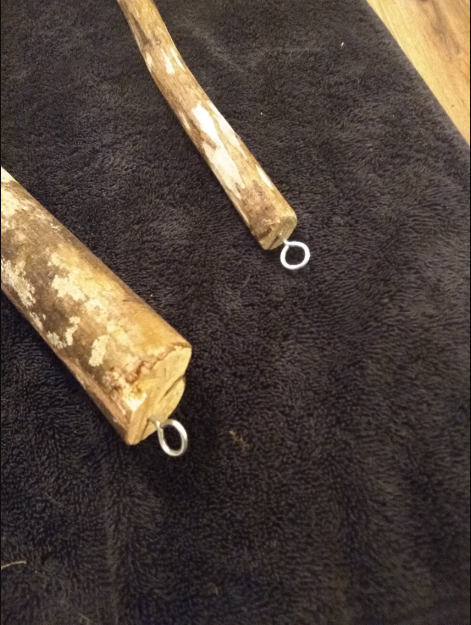 I will be hanging them with eyescrews screwed into the ends from cup hooks screwed into the side of her enclosure. Easy removal, easy replacement. 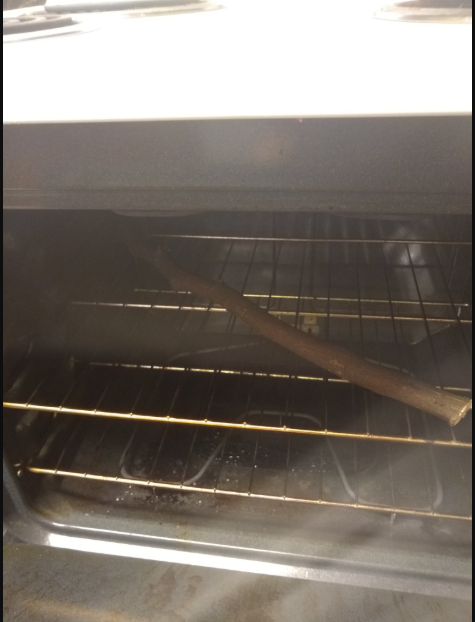 Another branch I have baking in the oven right now. This one is her main side to side branch, its almost as long as the enclosure(I've cut it a bit shorter to allow for the hooks). I still need to treat it, but its too large to bake, so I will be soaking it this weekend. Really just felt like sharing my DIY dabbling for my snakes. Maybe some others will get some ideas if they need them. I'm also thinking about adding a couple of large properly cleaned rocks to Rei's enclosure. Nothing with sharp edges of course. Last edited by ClarinetPhoenix; 02-11-2019 at 03:53 PM. Very cool! I have cut and dried several stacks of bamboo, always wanted to use it in an enclosure, but have never been sure how to properly bake and prep it. Maybe I will just find a snake safe tree and just set up my own branch, thanks for giving me some new ideas though! Semper Fidelis Tyrannosaurus - "Always faithful terrible lizard." The more branches the better ..